A new spot to score shabu-shabu hot pot has debuted in the neighborhood. Located at 11201 Bellaire Blvd., Suite 2, inside Hong Kong City Mall in Alief, the fresh arrival is called Shabu Zone. The all-you-can-eat spot lets you build your own shabu-shabu hot pot dish. You start by selecting a broth, such as miso, tonkotsu or shoyu, and a meat, such as pork belly, lamb leg or Akaushi wagyu chuck tender. You can then add seafood, vegetables and a sauce. After you've built your bowl, you take it back to your table, which has built-in hot pots. The new arrival has gotten off to a solid start thus far, with a 3.5-star rating out of 19 reviews on Yelp. Justin A., who was among the first Yelpers to review the new spot on Sept. 10, wrote, "The place was very spacious and has a lot of open space. The center of the restaurant has the seafood, salad, sauce and veggies bar. The decor was very clean and the lighting was very well lit." Yelper Jodie C. added, "This is an awesome place! Good soup, fresh produce and professional staff. I love the taste of the soup." 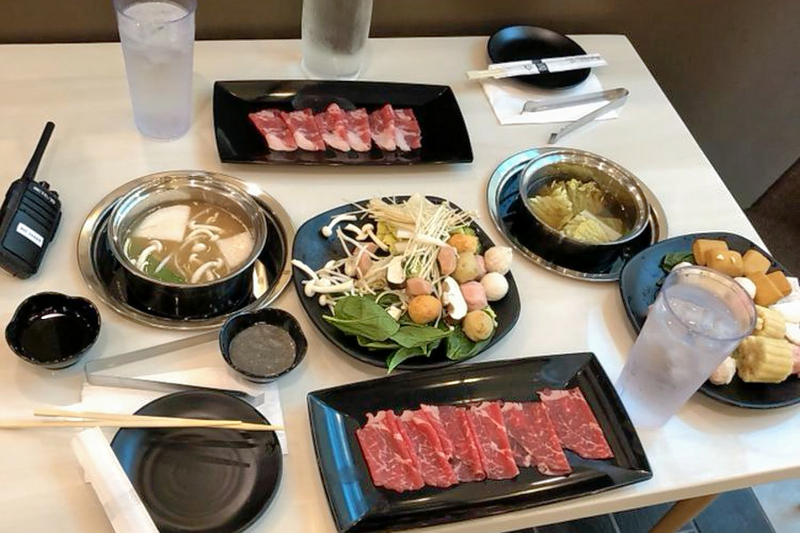 Swing on by to take a peek for yourself: Shabu Zone is open from 11 a.m.-3 p.m. and 5-10 p.m. on weekdays, 11 a.m.-11 p.m. on Saturday, and 11 a.m.-10 p.m. on Sunday.